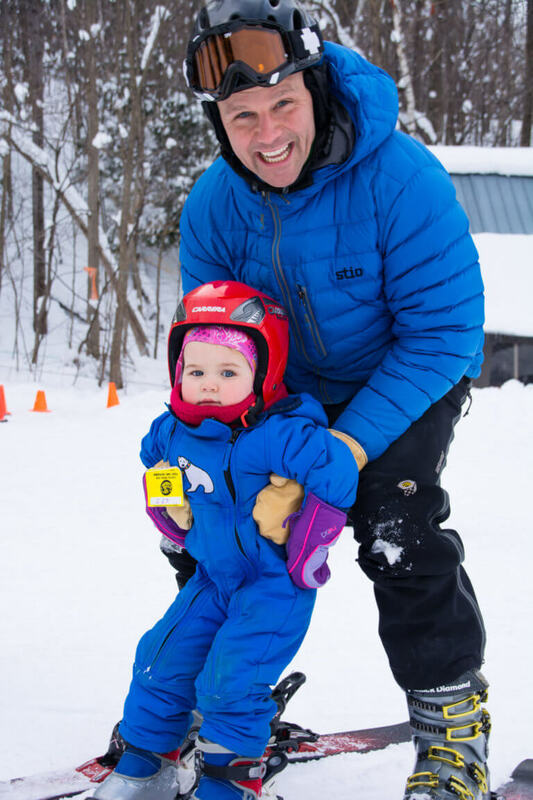 For children between the ages of 3 to 5 years old, we provide a unique program – Ski Tots – where we teach the parent how to teach their tot to ski. The parent must be a competent skier. A Cochran’s original, Ski Tots is directed by Olympic gold medalist Barbara Ann Cochran. 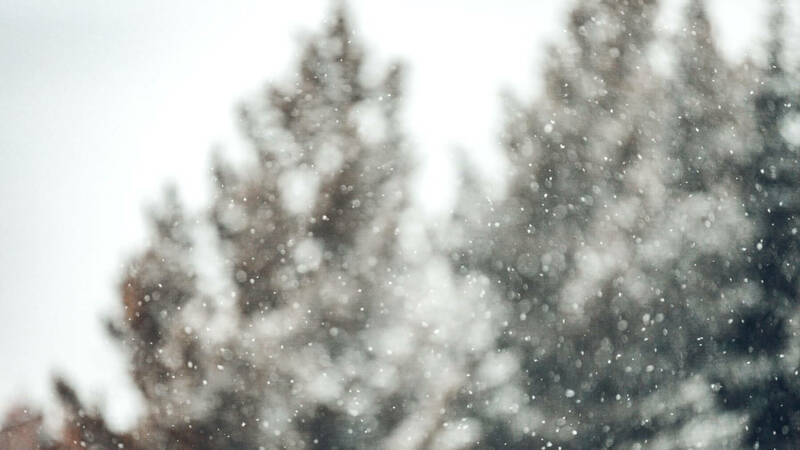 Four lessons, including full day lift tickets for both parent and child, for only $195. Ski Tots tends to fill up! Be sure to sign up early to reserve your spot. 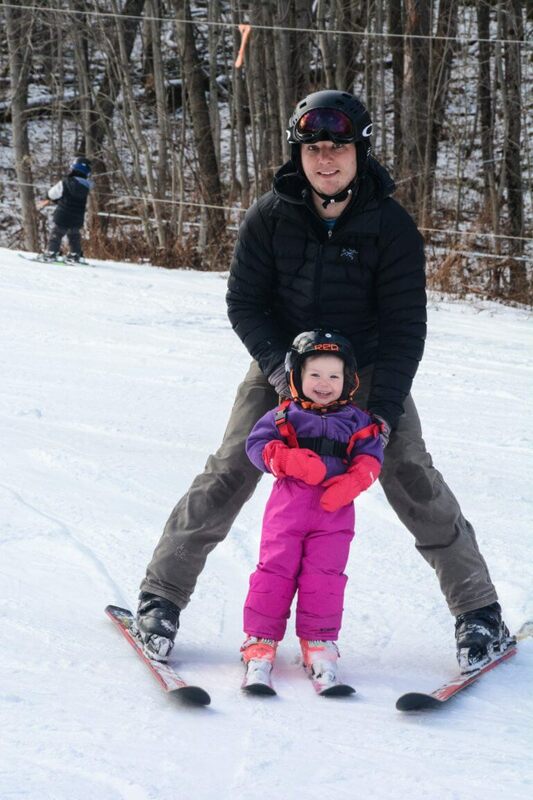 Cochran’s offers lessons for skiers and snowboarders from ages 6 and up. $50 adult and $45 child (under 18). 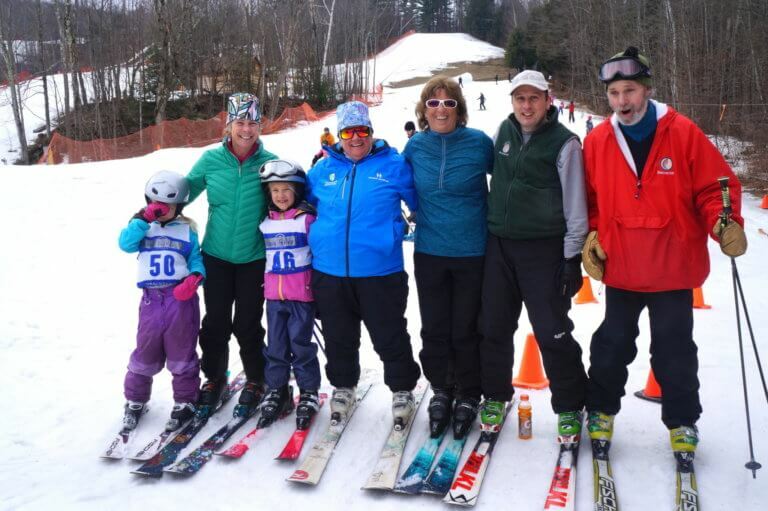 Lessons last for 1 hour and are taught as a group every Saturday at 1pm and Sunday at 10am and 1pm all season long. Arrive 45 minutes early to sign up and get rental equipment ($25). Lift ticket is good all day! Private lessons (for all ages) may be arranged by appointment. Please email or call in advance. 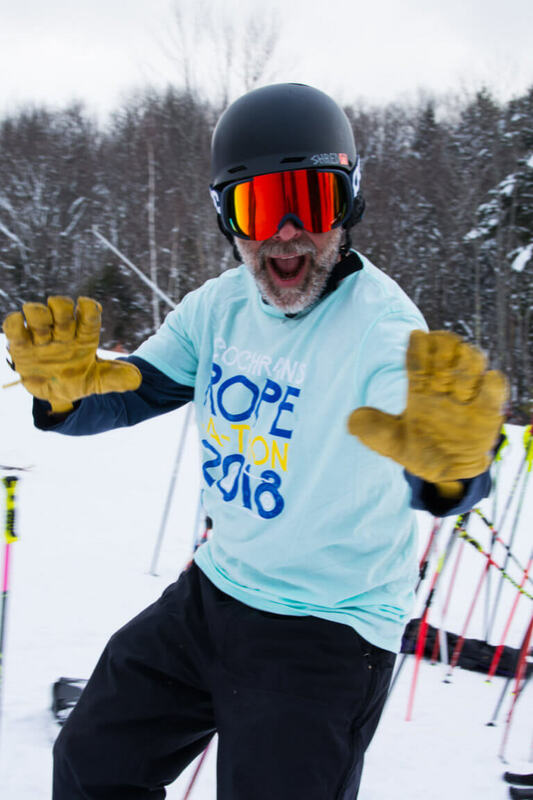 The cost for a private one-hour lesson (lift ticket included) is $99.00. Contact Sue Carpenter to schedule a time. 802-734-5031 or scarpe@wcvt.com Have a buddy? Make it a private lesson for two for an additional $80 ($179 total)! Equipment rental $25.